Few companies rode the Sega wave of the mid ’90s as well as Game Arts did. Under the guidance of director and producer Takeshi Miyaji, the company produced a string of hits for the Genesis, Sega CD, and Saturn that still fascinate gamers today. Sega-16 takes a look at the career of both Miyaji, who died in July of 2011, and the company he founded in this installment of Developer’s Den. 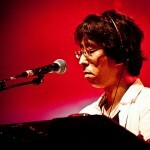 Noriyuki Iwadare is one of the most proflic game composers around. He’s been writing music for video games longer than most would believe, and he’s scored such classics as Warsong and Grandia, as well as a little series known as Lunar. We were lucky enough to snag Iwadare-san away from his busy schedule for some Q&A. Enjoy! Few companies have aroused such fiery emotions among gamers than Working Designs. Love it or hate it, you had to admit that it had an effect on the industry that bellied its size. From its incredible packaging to a seemingly never-ending series of agonizing delays, Working Designs did almost as many things wrong as it did right. Sega-16 examines the history of this controversial company in the latest installment of Developer’s Den. Lunar Eternal Blue was the highest-selling title in Sega CD history and rightly so. Mixing incredible storytelling with a solid battle engine and loveable characters, it was everything a sequel should be. Working Designs scored big with this one and it’s a title that deserves to be in any self-respecting Sega CD owner’s collection. You may not know his name, but you’ve almost certainly heard his music before. 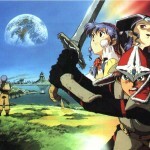 Noriyuki Iwadare has scored some of gaming’s true classics, including Lunar The Silver Star, Grandia, and Growlancer. He’s a true gaming legend and a Sega Star, which is why he’s the subject of our next installment. Have a read and enjoy!